Sanctuary, the DC Universe’s superhero trauma center, may be a place for heroes and villains to seek help, but what happens when the top-secret location is the home for a full-blown murder mystery? And how will the superhero community respond when the suspects are two of its higher profile members? These are the questions writer Tom King and artist Clay Mann raise in Heroes In Crisis #1. DC’s solicitation text for the September issue reveals patients have begun to turn up dead in Sanctuary, and the prime suspects are Harley Quinn and Booster Gold. 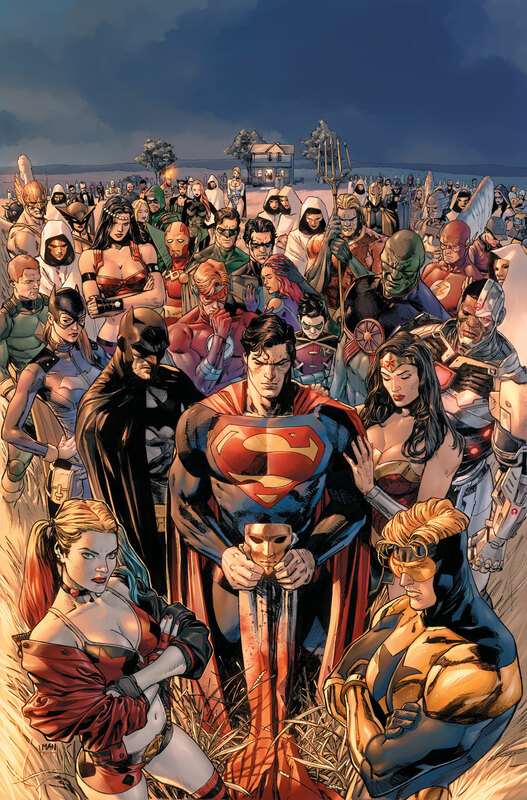 The announcement of Heroes In Crisis included the news that Harley Quinn and Booster Gold would be two of Sanctuary’s main residents. King teased both character’s involvement in recent issues of Batman, with Harley Quinn helping to stop Poison Ivy’s goal of controlling every mind on Earth, and Booster Gold losing his mind during a time-travel adventure with the Dark Knight. With Harley possibly being a staff member in Sanctuary and Booster Gold a patient on the road to recovery, they are primed to have their ears on both sides of the facility’s population in order to uncover any clues to the real assailants. This issue will ship with five covers. The post DC Reveals the Main Murder Suspects in Heroes in Crisis appeared first on CBR.